The covers are blah but don’t be fooled. This series offers sore abs, quick wit and double-dog-dare kind of fun! The Consequences of Loving Colton has to be one of the funniest Rom-Com reads I have read in a long time! Several times I was attempting to shove a pillow in my mouth to muffle my laughter. 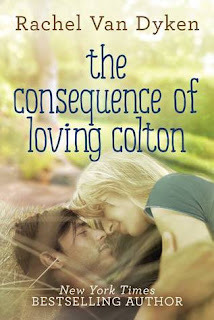 The story is about a girl named Milo and the consequences of telling a little lie to her childhood crush, Colton, just to save face at her brother’s upcoming wedding. Who knew telling a little white lie could cause such a circus in a matter of one weekend! Milo has is made of pure, raw wit and snark. She is such a nerd at heart (#starwars #nuffsaid), has grown up as “one of the boys” and plays dirty. In a split second moment of panic she decides to act like she has a serious relationship and ropes her best friend into playing the part, I mean what could go wrong in a few short days. In just a few short days this book drags you through so many hilarious, unpredictable shenanigans that it is impossible to put it down once you start! Must Read for all Rom-Com lovers! This is the story of the left behind best friend, Max. After reading Milo and Colton’s story I was so excited that Max was going to finally take the center stage! I mean if Milo’s weekend was that crazy I couldn’t imagine what a wild ride it would be with Max on a tv series like The Bachelor. But I will admit I was a little let down. And yes, Jason is still a literal walking disaster. Poor guy. Once the island life began it seems like everything was just at face value. The contestants were not fleshed out too well and the favorite, Becca, just didn’t give me the feels. I guess I just never got to know her background and she went from cold towards Max to red hot lust in about 5 seconds. The build-up wasn’t as fun as Milo and Colton, even considering all the wisecracks from Max. I think the love was just too simple and lacked a good protagonist. No other girl was there to sway Max or any other pending women waiting at home. At times I think the goat on the island got more attention than Becca. Overall, this was a fun and easy read and definitely gave me the giggles I needed. 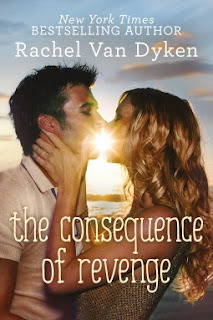 Poor Jason needs his HEA mixed with a little friendly revenge. There are two more books in this series and I am eager to see whose stories they will be! Rachel Van Dyken has a way with her witty banter and has easily moved to my auto-buy list.